Administrative Support, waste management, and remediation services made up 11% of Black owned firms totaling 294,977. Professional, scientific, and technical services was the fourth largest industry making up 8% of Black firms. 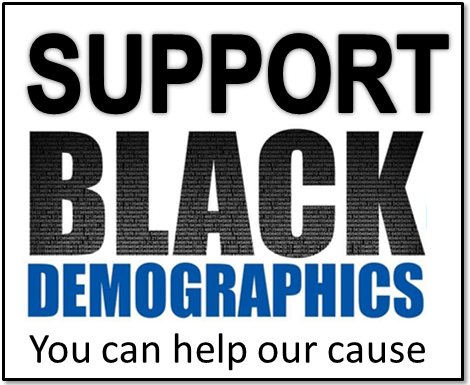 Of the 2.6 million black-owned businesses in 2012, 109,137 had paid employees, an increase of 2.2 percent from 2007. These businesses employed 975,052 people, an increase of 5.9 percent; their payrolls totaled $27.7 billion, an increase of 15.9 percent (not adjusted for inflation). Receipts from black-owned businesses with employees totaled $103.5 billion, an increase of 4.7 percent from 2007. In 2012, 2.5 million black-owned businesses had no paid employees, an increase of 38.9 percent from 2007. These non-employer businesses’ receipts totaled $46.8 billion, an increase of 21.2 percent. Receipts generated by all Black-owned businesses during the same time period increased 9.2% to $150.2 billion. The top earning industries in Black owned businesses are in Health care & Social assistance, and the Retail Trade sectors totaling more than $41 billion in receipts. Black-owned businesses accounted for 34.8 percent of all businesses in the District of Columbia, which led the nation, followed by Mississippi, where 27.7 percent of businesses were black-owned, and Georgia, where 27.6 percent of businesses were black-owned. Among states, Georgia had the largest total number with 256,848 black-owned businesses and accounted for 9.9 percent of the nation’s black-owned businesses, followed by Florida, with 251,216 black-owned businesses (9.7 percent). Among counties, Cook, Ill. (Chicago), had the most black-owned businesses, with 110,155, accounting for 4.3 percent of all the nation’s black-owned businesses.